We offer a full range of Estate Planning Service including Wills, Trusts, Probate, Powers of Attorney, Heath Care Directives and more. Believe it or not, Wills are “living” documents. They need to be updated regularly as you go through life. Generally, Fabian advises her clients to consider updating their Wills whenever one of these life triggers occurs: births, deaths, marriages, divorces, acquisition of assets, change in the state you live in, change in estate tax law, just to name a few. A Will you did ten (10) or fifteen (15) years ago is probably outdated and not going to work for you. Life continues on, circumstances continually change, things happen. Whether you are a single person, married with children, have a blended family, the estate planning ideas Fabian will give you will take those situations and issues into account. Sometimes, a Trust is a good idea for people to consider. There are several different types of Trusts that Fabian might recommend to her clients when the circumstances dictate that it would be a good idea. For example, a Testamentary Trust is a good idea for families with young children. Should some unforeseen event happened to both parents, a Testamentary Trust will create a mechanism whereby the guardians of any minor children can work with the named trustee in providing for the support, care, maintenance and education for those children. One often overlooked subject of estate planning that must be taken into consideration are ‘beneficiary clauses’. Beneficiary clauses are found in life insurance policies, 401ks, many investment accounts, pension plans, etc. These beneficiary clauses dictate where the funds in those account/policies will go should someone die. Unless a person names his/her estate as the beneficiary, which is not something Fabian would normally recommend, those funds flow outside of probate. This means a check would go from the financial institution directly to the person named on the client’s account. Very often, most or all of a client’s assets are in accounts with beneficiary clauses. This is something that Fabian will discuss with her clients when setting up their estate planning. Part of Fabian’s estate planning recommendations include the creating of a Power of Attorney. This form enables a client to have another individual act on his or her behalf should that client be unavailable, out of town or mentally incapacitated. There are different types of POAs, including Specific Powers of Attorney, that Fabian will discuss with her clients when they come in for a consultation. The authority given to another individual within a POA is great and the client needs to be aware of the consequences when deciding on whom to give that authority. Health Care Directives, often referred to as ‘living wills’, select the individuals and decisions a client wants to make with regard to his or her treatment preferences when the end of life is near. These decisions are usually uncomfortable topics of conversation. However, to help ease the inevitable decisions family members have to make for their loved ones at the end of life, a HCD will dictate what that client’s wishes are. In Georgia, Probate is often a more stream-lined process than what people experience in other states. Georgia is considered probate friendly, assuming there are no contestation issues. However, to someone that is grieving and experiencing a tremendous life changing event, Fabian will handle the Probate process on behalf of her clients. This has been a huge relief for many of her clients over the years. Fabian knows how to navigate through the various forms that need to be filed and differing county probate court procedures. The time involved with handling a probate matter often surprises Fabian’s clients. It can be a long process that can take many months and sometimes years to complete. 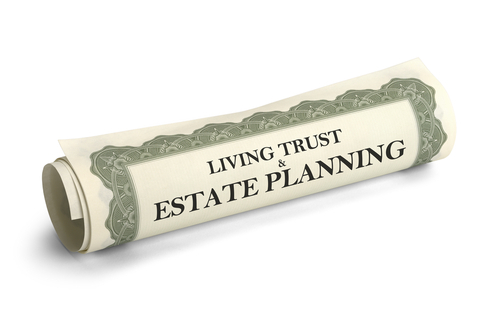 The length of time can be tremendously reduced if the proper estate planning is done beforehand.